Mission of the Center for Leadership of UCU is to develop new generation of socially responsible leaders, oriented onto society development in the business sphere, public administration, politics, military, non-profit and religious sectors. We are the teaching Center of the world level, performing scientific researches and informing as to realization, evaluation and development of the leaders’ character. Center for Leadership of UCU is a common project of the Ukrainian Catholic University, UCU Lviv business school, UCU Institute of leadership and management and UCU Management school, realized due to the partnership and collaboration with Ivey Business School. Center for Leadership of UCU aims at breakthrough in the development of methodology and instruments of teaching leadership courses: development of case studies on leadership is foreseen within the activity of the Center, as well as research of leadership phenomenon in the business sphere, state management, military and non-revenue sectors. In its activity while performing research and developing the training program the Center for Leadership of UCU rests upon the concept “Leadership based on character” developed by the researchers from Ivey Business School. Mission of the Center for Leadership of UCU is to develop new generation of socially responsible leaders, oriented towards society development in the business sphere, public administration, politics, military, non-profit and religious sectors. We are a world class teaching center, performing scientific researches and informing as to realization, evaluation and development of the leaders’ character. We see Center for Leadership of UCU as an environment uniting scientists and researchers, performing researches on leadership and practicing, which are already leaders in different spheres: business, state management, military sector, non-revenue sector, politics and religion. UCU Center for Leadership of UCU also has an intention to actively work with youth and form around the Center the society of young people possessing potential to become leaders in the future. Strategic partner of the UCU Center for Leadership is Ian O. Ihnatowycz Institute for Leadership оf Ivey Business School, who provides us with professional support in research and curriculum development. 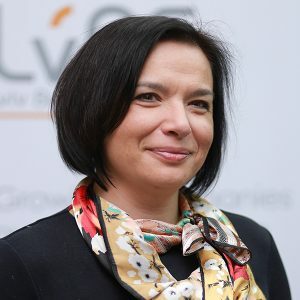 Main source of funding for Center for Leadership of UCU consists of generous contributions from Ihor Ihnatovych and his wife Marta Viter, president and executive director of the investment company First Generation Capital Inc., Canada. In its activity while performing research and developing the training program the Center for Leadership of UCU rests upon the concept ‘Leadership based on character’ developed by the researchers from Ivey Business School, which includes three main components – 1. Competences 2. Character 3. Commitment. Competences reflect what can be done by leader, devotion correlates with the efforts the leader is ready to put, and character influences on the decisions taken by the leader. Corresponding to the concept, leader’s character includes 11 elements. The path of reform: why everything is not so simple in Ukraine? Professor in Leadership, HR&OD, CEO of UCU Center for Leadership. Andriy Rozhdestvenskyy served as a profiler and analyst in Israel’s security service, where he specialized in counter-terrorism matters, including special communications and negotiations. Later he became HR Business Partner-Retail at Oschadbank with subsequent promotion to Head of Personnel and Training in the bank (35,000 employees). Rozhdestvenskyy adjusted classical sales techniques to the bank’s needs and then started tailoring training programs to suit the needs of other areas of business (telecommunications, IT industry, agriculture etc.). As a result, he started his own business – a consulting company with emphasis on developing and tailoring personnel training systems for specific businesses. Researcher at the UCU Leadership Center. 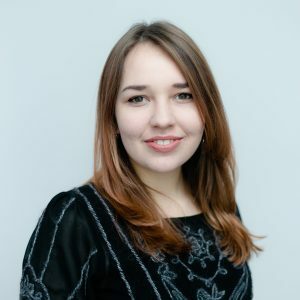 Master of Political Science, graduated from German and European Studies Program at Kyiv-Mohyla Academy, studied at Friedrich Schiller University in Jena (Germany). Worked as a Project Assistant at the Ukrainian Institute for International Politics and as an Analyst at the Strategic Planning Department of City Institute of Lviv City Council. Yaryna did internship in the German Parliament, where she worked as an assistant to the deputy of the Bundestag. 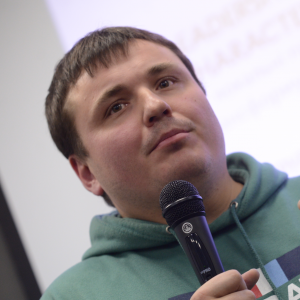 Has experience in volunteering at the Committee of Voters of Ukraine and the Civil Movement “Chesno”. 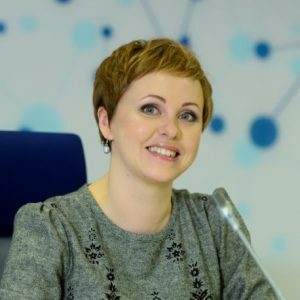 Yaryna is a Researcher and Coordinator of the UCU Center for Leadership. Now a private investor and Lecturer at Columbia University, Gregory J. Muth is the immediate past Chief Executive Officer of WSL PURE, the philanthropic arm of the World Surf League, Santa Monica, CA. Following a successful financial career, other accomplishments include the Founder and Chief Executive Officer of StrategicMed, New York, NY, a national disease and population management practice aimed at the chronically afflicted; President and Chief Executive Officer of International Medical Care, Ltd., New York, NY, a staff model health maintenance organization (HMO) offering western-style primary care in emerging markets. He remains active in the medical assistance field as a founder and lead member of the Board of Directors of Assist America, Inc., a Princeton, NJ–based employee benefits company. Muth draws upon 12 years of public service with the U.S. Department of Justice – Federal Bureau of Investigation, and the U.S. Department of Defense. He began his financial career at Chemical Bank [today J.P. Morgan Chase], with stints at HSBC Bank Group, Banque Indosuez and First Boston Corporation. Dr. Monzani is an Assistant Professor of Organizational Behavior at Ivey Business School (Western University). Previously, he was a lecturer in Leadership at the Graduate School of Management of Plymouth University (United Kingdom). Also, he is an associate researcher at both the Institute for Organizational Development and Quality of Work Life of the University of Valencia (Spain) and the and Center for Leadership and Behavior in Organizations at Goethe University (Frankfurt, Germany). Dr. Monzani completed a two-year postdoctoral fellowship at the Ian O. Ihnatowycz Institute for Leadership at the Ivey Business School of Western Ontario University (Canada). He holds a Ph.D. in Psychology of Human Resources by the University of Valencia and is an Erasmus Mundus Master in Work, Organizational, and Personnel Psychology. 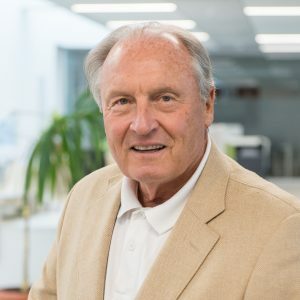 His research interest lies within advanced concepts in organizational behavior, such as exemplary leadership, commitment to lead, and other topics bridging neuropsychology with Organizational behavior. 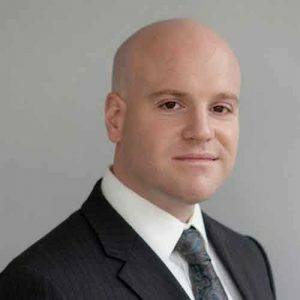 Whenever possible, Lucas Monzani combines his research activities with his professional practice as an executive consultant. 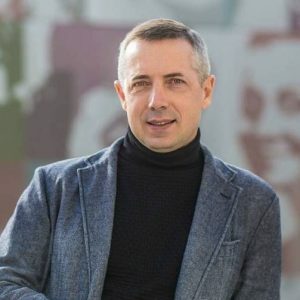 He has extensive experience in wide array of topics of corporate life, such as leadership potential assessment & development, executive coaching, advanced recruitment & selection techniques, virtual team-building. As a consultant, Dr. Monzani contributed to several leadership development projects within the Department of Peacekeeping Operations (DPKO) of the United Nations. Olexandra is a lecturer of the UCU Center for Leadership. She has held key positions in HR and management for more than 15 years. Since 2012, joined Luxoft, building its career from a regional manager to a managing director in Ukraine with a team of 4,000 employees. She worked as an expert on the strategic development of the Investment Attraction Office under the Cabinet of Ministers. Olexandra is the academic leader of the program “Master of Human Resources Development and Organization” LvBS and mentor of social projects for the promotion of girls at STEM. 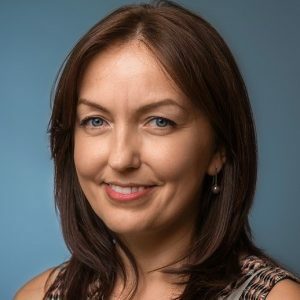 In addition she is HR Certified, CIPD Assistant at the Royal Institute of Personnel Development in London, member of the Harvard Business School curriculum. 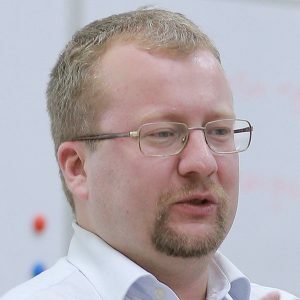 Mikhail (Mykhailo) Minakov is Kennan Institute’s Principal Investigator on Ukraine and editor-in-chief of Focus Ukraine, Kennan Institute’s Ukraine-focused blog. He is also editor-in-chief of the Ideology and Politics Journal, and Visiting Professor at Institute of European Studies, Europe University Viadrina (Germany). He earned his Master of Arts degree in Philosophy from the Kyiv-Mohyla Academy and defended his Doctoral Dissertation at the Kyiv Institute of Philosophy in 2007. For 18 years he taught at the Department of Philosophy and Religious Studies of the National University of Kyiv-Mohyla Academy (Ukraine). Mikhail’s main interest is dedicated to political modernization in Eastern Europe, theories and practices of revolutions, political imagination and ideologies. Ph.D. Theory and Policy Studies in Higher Education, University of Toronto. 2012-2015 – he was program Director, Masters of Education, Faculty of Education, University of Hong Kong. His areas of expertise: comparative and international higher education; policy analysis; academic leadership and organization; institutional research; globalization and internationalization. With the support of the Government of Hong Kong, he leads an intensive research project on comparative studies of the strategic development of research universities in China and Russia. Georgian diplomat. Advisor to the Prime Minister and Defense Minister for Defense Reform of Ukraine. In 1992-1993, he commanded a platoon during the Georgian-Abkhaz conflict and participated in combat operations in Sukhumi. Colonel of the Georgian Army. From 1999 to 2005 – military attaché at the embassy of Georgia in Washington. He held the post of Charge d’Affaires of Georgia in Kyiv. An entrepreneur-innovator in high technology in Ukraine, founder and president of high-tech investment company KM Core. Yevgen Utkin is a “bridge builder of knowledge sharing” between East and West, leader of the hi-tech industry in Eastern Europe. He founded one of the first IT companies in the post-Soviet space, which he conducted through all stages of development from diversification of business and the development of new markets to the creation of an international corporation and the holding of an IPO. During this time the company’s partners became such leading world leaders of the industry as Intel, Oracle, Cisco and Microsoft. The business philosophy of Eugene Utkin is based on the exchange of knowledge and the value of the company. Advisor to the Minister of Infrastructure and Advisor to the Minister of Ecology and Natural Resources. Director of Public Relations with PrivatBank. In 2014 – 2016 he worked at the Ministry of Defense of Ukraine, where he was Deputy Minister and Head of the Reform Council. In 2009-2014 worked in various government bodies: he was the head of a group of advisers to the Minister of Economy, adviser to the Minister of Finance. He previously worked in the private sector and led commercial companies. Candidate of Economic Sciences, associate professor, visiting professor of the Military University of the Republic of Colombia. 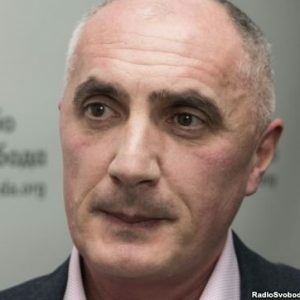 Zurab Alasania is Director General of the Public Broadcasting Company of Ukraine (UA:PBC). 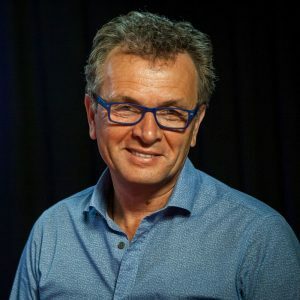 In 2000 he cofounded the Objective Media Group, where he served as director and, six years later, launched the Media Port agency alongside a weekly newspaper, the MediaPost. 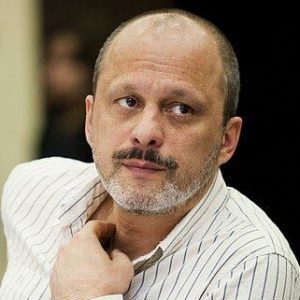 He was Director of the Kharkiv Regional State Television and Radio and cofounded the Ukrainian internet TV station Hromadske.tv. Alasania played a critical role in establishing NTU as a public service broadcaster. At the beginning of this year, UA:PC was established to bring together regional broadcasters, radio and culture into one single entity. The EBU will continue to support UA:PBC in its transformation.